“Obesity is such that this generation of children could be the first basically in the history of the United States to live less healthful and shorter lives than their parents,” Dr. David S. Ludwig, director of the obesity program at Children’s Hospital Boston. Statements such as the one above are hard for us to hear, yet as we look around us, we know Dr. Ludwig is speaking the truth. Our society, including its children, is heavier and more sedentary than any society previously. One contributing factor to obesity in children is the fact that many school systems are cutting back the days children participate in physical education classes. Some are doing it to save money, while others are doing it to give the students more time for academics, especially reading, math, and science. Over the years, the U.S. has started falling further and further behind in these subjects as compared to other developed countries. While cutting physical education classes to make more room in the schedule for reading, math, and science may seem like a good idea on the surface, in the end, it hurts both test scores and waistlines. A study from Virginia Tech showed that cutting gym class and allocating more time to math, science, and reading did not improve test scores. Our bodies were made to move, and that movement not only improves our strength and aerobic capacity, it also does amazing things for our brains. More on how this works later, but for now, I’d like to tell you about Naperville 203. Naperville 203 is a school system in Illinois with fourteen elementary schools, five junior high schools, two high schools, and some of the fittest kids in the nation. While some thirty percent of U.S. school children are overweight, and another thirty percent are on the cusp, an astonishing 97 percent of freshmen in the Naperville 203 school district were at a healthy weight. 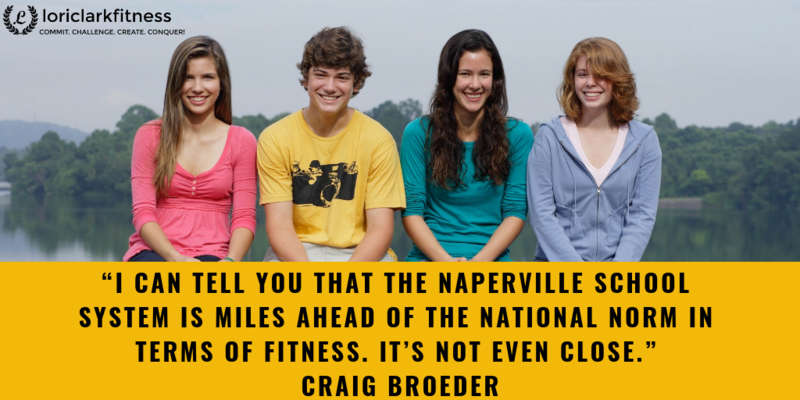 Craig Broeder, a sports physiologist said, “I can tell you that the Naperville school system is miles ahead of the national norm in terms of fitness. It’s not even close.” How is this affecting their test scores? The TIMMS (Trends in International Mathematics and Science Study) is a test created to compare the knowledge level of students from different countries in math and science. Normally, countries like Singapore leave the U.S. in the dust. But in 1999, 8th graders from Naperville 203 scored 1st in science and sixth in math behind Singapore, Korea, Taiwan, Hong Kong, and Japan. As a whole, the United States was nineteenth in math and eighteenth in science. Naperville was a shining star! Of course, we can’t say it’s only the fact that they have physical education every day that has improved their test scores, but while other schools are cutting P.E. in favor of more time for academic classes, Naperville 203 is shaving minutes off each of the other classes in the schedule to make room for P.E. Some of the schools are even going so far as to make sure the students’ hardest classes are scheduled after they have P.E. when they will be most alert. In 2015, the average test scores of 15 year-olds showed that American teenagers were 24th in science, 39th in math, and 24th in reading. Many other countries scored significantly higher than the U.S. Can the rest of the country learn from Naperville 203? Many of us know how poorly we’re stacking up against the rest of the world academically, but most don’t understand just how important physical activity is to boost brain activity. 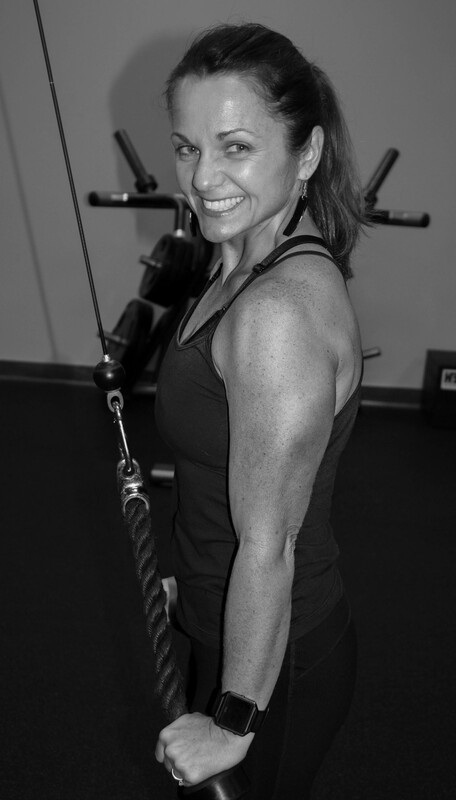 Whether or not the school systems know or will make changes need not keep you and me from making sure our children get the brain boosting benefits of exercise. What exactly are those benefits? Exercise increases the amount of BDNF (brain derived neurotrophic factor) which acts like Miracle Gro for the brain. BDNF is necessary in helping our brains take in new information as well as an important ingredient for making new cells. BDNF also works with other growth factors such as IGF-1(insulin-like growth factor), VEGF (vascular endothelial growth factor), and FGF-2 (fibroblast growth factor) during exercise to push through the blood-brain barrier to fire up the molecular machinery of learning. They also promote stem-cell division during exercise. 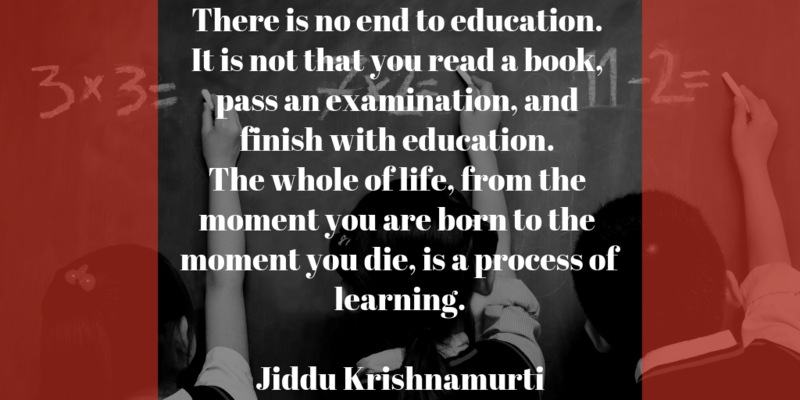 This is all just a fancy way of saying exercise helps you learn better and retain what you’ve learned. This is great news for everyone, not just our children. We can use exercise as a means to help us solve problems. When we get stuck mentally, we now know we can get up and move around physically to get those factors pumping in the brain that will help us think better, enabling us to solve difficult problems. We can model this behavior for our children. We should all be life-long learners, and what better way to encourage our children to exercise than by exercising ourselves? Our children should see us exercising as well as continuing to learn every day. 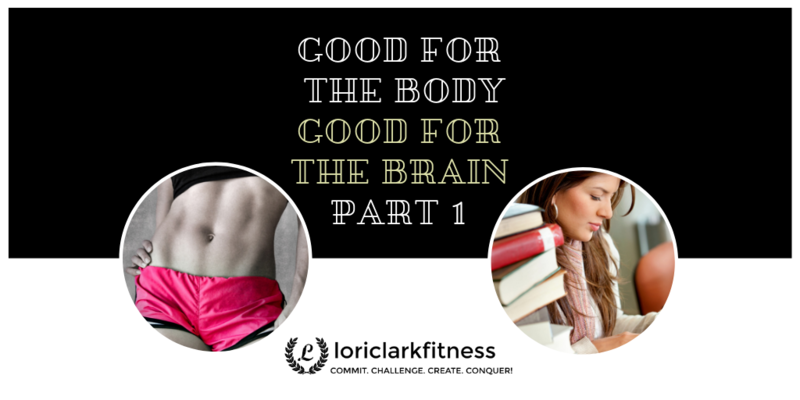 Now, get up, get moving, and do something good for your body and good for your brain. Have a great week!